Congratulations to Ian, Niel, Geno and the whole team at Futurehome for this incredible installation. The 10 seat private cinema was created in the client's unused squash court, and delivers one of the finest cinemas we have ever had the pleasure to experience! Artcoustic loudspeakers are used throughout this 7.3.4 Dolby Atmos system, with the flagship Performance Series being used for the left, centre and right, as well as LFE. The result is incredibly detailed and accurate, but with a sense of scale and effortless dynamics rarely enjoyed in a private cinema. As well as the Artcoustic loudspeakers and subwoofers, the rest of the system features the superb Arcam AVR850 with their P49 amplifiers (fully EQ'd with Dirac Live), full Savant control, the Sony vw1100es projector, Palladio seating and Screen Excellence 4K screen. Designflow ensured the system complied with all industry design parameters, with Eomac completing the room with fabric stretched walls and acoustic treatment. 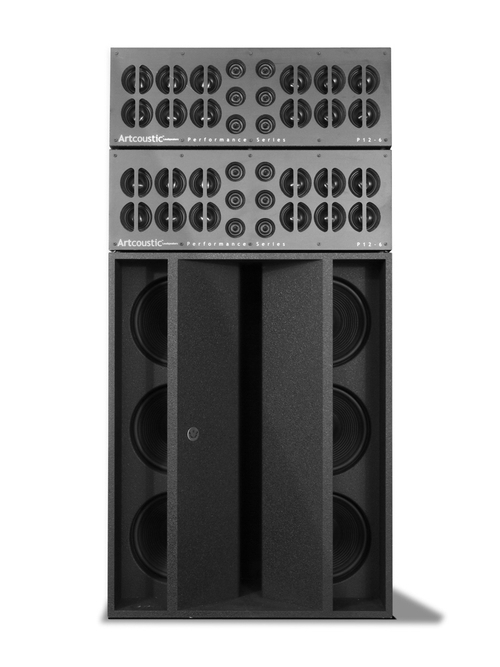 The Artcoustic Performance PS6 Stack is capable of 136db output, giving huge headroom to reach the 105db required for all credible cinema designs. 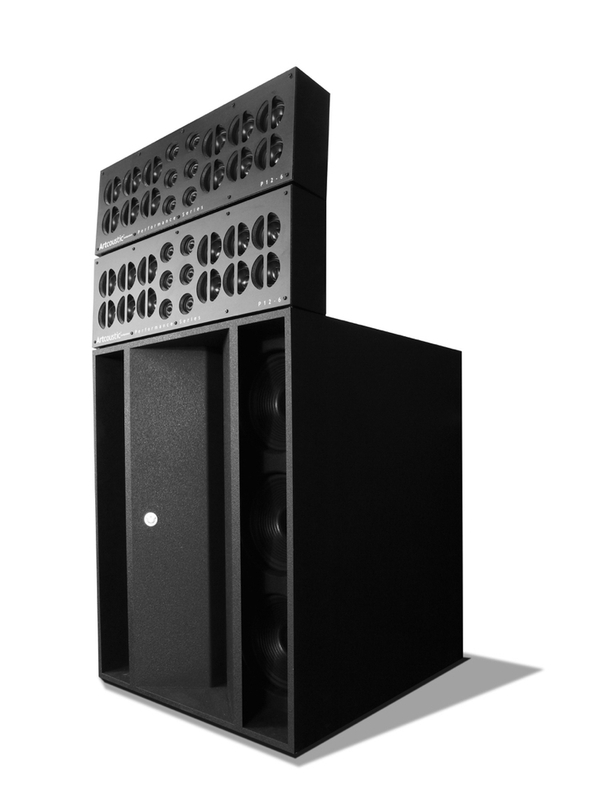 Three of these stacks are installed behind the acoustically transparent screen, making a total of 104 mid units, 52 tweeters and 18 x 10" bass units! It sounds as good as you'd imagine it would.